Bail Reform is a process; a long, highly publicized, expensive process. It is easy for you to feel overwhelmed when trying to figure out your part in a fight that has spread across the entire United States. As individuals and business owners, it is to your advantage to make your stance known and voice heard. To assist you and enlist your help, we have listed three actions you can take now in the fight against Bail Reform. These associations are the front line in the fight against bail reform. Their main purpose is representing bail agents and advocating on your behalf. The associations are hiring lobbyist to influence and inform legislators that otherwise wouldn’t hear our voices. By joining today, we as an industry become more united in our fight. As an additional incentive for you, email us today and we will deduct the membership fees to join these associations from your Bankers build-up fund accounts. In order to fight bail reform in each individual state, it is important for you to understand exactly what is being proposed. No two bills are the same, and taking the time to read the bill will make it easier for you to explain why you oppose it. There may be terms written in the bill that you believe are understandable and others that you strongly disagree with. Being opinionated will get attention, but being informed will get listeners. Explain why you oppose the proposed legislation. Help bring to light the “side effects” of Bail Reform. A good website to reference is www.usbailreform.com. Read stories and share them on your social media sites. 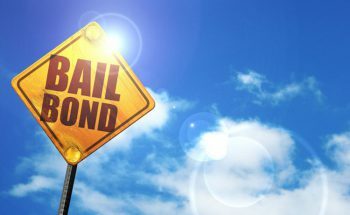 Bring awareness to the issues in states where Bail Reform was passed. Keep in mind that how and when we make our voices heard is just as important as what we are actually saying. Share this information with your family, friends, co-workers and fellow bail agents. These three steps will take you a long way in the fight against Bail Reform. Bankers is dedicated to our agents and we are committed to leading the way in preserving and protecting our industry. For further information or to become an agent, email us or call 1.877.815.5006 .